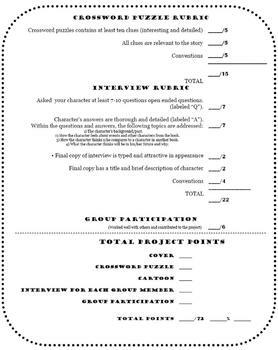 Take your students beyond the boring book report with this unique project! Incudes everything you will need to make this project a success in your classroom! 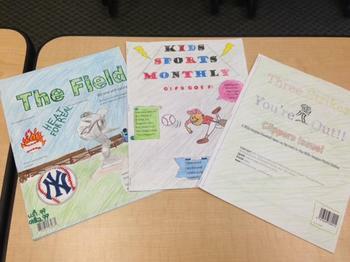 As a final project for the any novel or book, students will be creating a magazine in small groups. 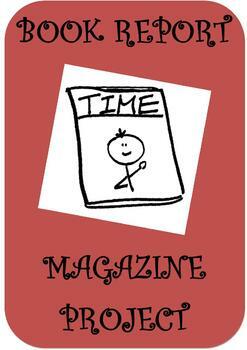 Their magazines will include an illustrated cover, interviews of characters, a crossword puzzle, and humor section. 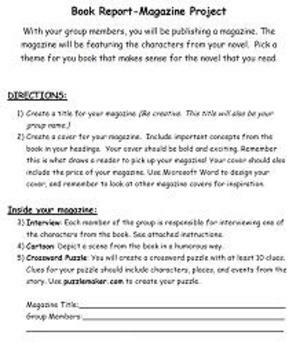 This is an excellent way to get your students to create! My students love doing this every year, and the final projects are truly amazing.